There is nothing quite like experiencing the aura around a site or structure that is rich in history. There is an abundance of historical tourist attractions around the world for you to visit. 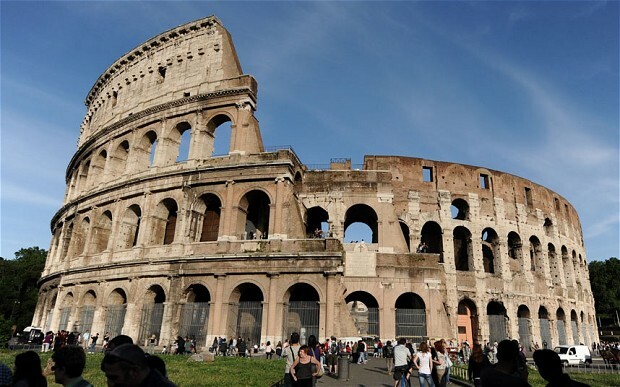 You can walk in the footsteps of gladiators in Rome, climb on the tombs of ancient Egyptian Pharaohs in Egypt or stand in the infamous gas chambers of Auschwitz in Poland, where millions lost their lives. All of these sites changed the course of history in some way, shape or form. Some sites influenced history positively and some negatively. All of these sites have a unique story to tell and we thought we’d share a short part of that story with you. Take a look at our must see historical destinations from around the world. 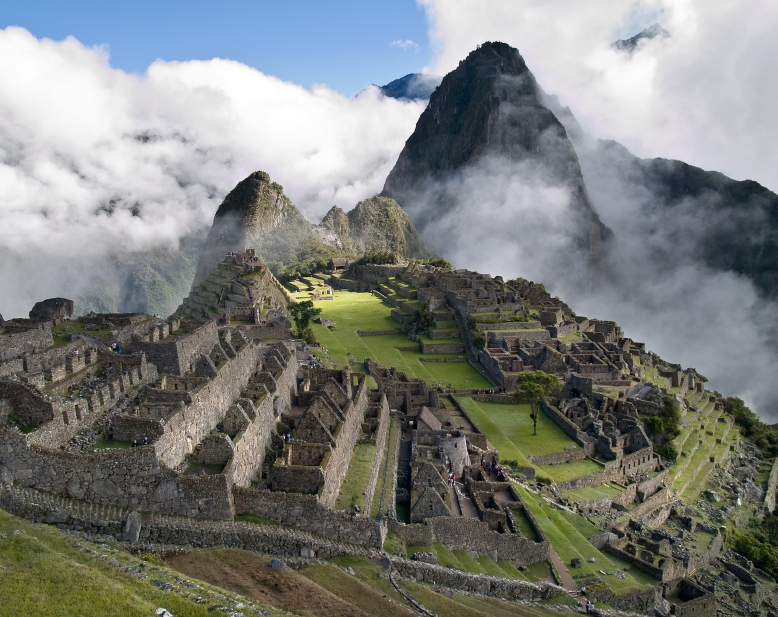 This ancient city was built around 1450, by order of the Inca Emperor Pachacuti. It was to be used as a royal estate and religious retreat. During the years in which it was inhabited it was a very important spiritual and cultural site for the Inca Civilization. Only 100 years after it was built, the Incas abandoned Machu Picchu after the Spanish conquest started. While the site lay abandoned for centuries, only a handful of locals knew of its existence. The western world knew nothing of this site up until 1911, when it was discovered by the historian Hiram Bingham. The excavations around Machu Picchu have produced priceless artefacts that have given historians incredible insight into the ancient Inca civilization. Today the site is one of the most popular tourist destinations in the world. The site has been selectively restored over the years, with restorations still taking place today. Restorations are being done to give tourists a better idea of what the buildings and structures originally looked like. The site is one of the seven wonders of the Ancient World and annually millions of tourists come to view the remains of the ancient Inca civilization. Newgrange was built around 5,000 years ago, making it one of the oldest structures in the world that has remained largely intact. 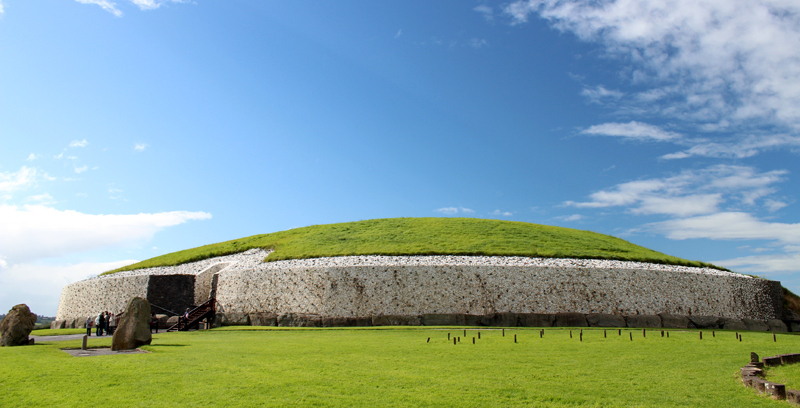 The structure was built by the local farming community, who prospered on the fertile soil around Newgrange. The site had astrological, religious, spiritual and ceremonial importance for the ancient farming community. Historians and scientists cannot agree as to what the site was officially used for, but it is commonly believed to have been used as a temple and a tomb. Important people were buried here and spiritually and culturally important ceremonies and rituals were also held and performed on the site. Newgrange was sealed off by the ancient community after their use for it ran out. It remained sealed for many millennia, only to be reopened in the 17th century by antiquarians. Many excavations have been done around the structure since it was opened in the 17th century and much of the structure has been restored. Today this structure is a source of pride for the Irish nation and it is seen by many historians as one of the most important structures in all of Europe. It started on Palatine Hill where the myth of Romulus and Remus began. According to Roman Mythology the two brothers, Romulus and Remus, were found on Palatine Hill in a cave by the she-wolf Lupa. The she-wolf kept them alive until a local shepherd found and then raised the two boys. Together they wanted to start a city, but after an argument, Romulus killed Remus and took total power. The city of Rome was then named after him. The Roman Empire was built on the back of this great myth. The Romans ruled over the vast majority of the known world at the height of the Roman Empire. All of the commercial and social activities in Rome took place at the forum. Everything, from criminal trials and public speeches, to the trade in olives and slaves took place at the forum. It was the epicentre of the Roman Empire, which in turn made it the epicentre of most of the known world. The Colosseum was built in 70 – 80 AD and up until this day it is still the largest amphitheatre in the world. The Colosseum was built to host famous battlefield re-enactments and gladiator battles. Many men and even more animals lost their lives on the sands of the Colosseum. The Colosseum has become the most famous symbol of Imperial Rome, it is today one of Rome’s most popular tourist attractions. The Great Wall is one of the largest construction projects that have ever been completed. Construction started over 2000 years ago during the Qin dynasty. 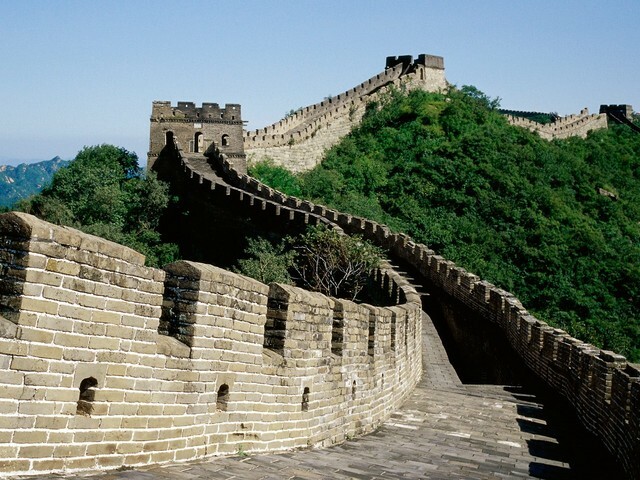 Between the 5th century BC and the 16th century AD, the wall was built by the powers that be, to protect the northern boarders of the Chinese Empire from the nomadic tribes in the north. The wall was used as a first line of defence against attacks from the north. Soldiers were placed on the wall to fight off possible attacks and to warn the people in the area when an attack was imminent. The length of the actual wall stands at an astonishing 6,259 km, but together with trenches and natural defensive barriers such as rivers and hills, the length of the defence of the wall is 8,850 km. This wall stands as a symbol of Chinese strength and discipline. With the Chinese fast becoming the leader of the world economy, and with them having one of the largest populations in the world, we might be able to learn a thing or two from them. I can think of no better way to do just that, than to explore their pride and joy, the Great Wall. The Acropolis of Athens is an ancient citadel located on a high rocky outcrop above the Greek capital of Athens. Several ancient Greek buildings were built atop this rocky outcrop in honour of several Greek Gods. These buildings are of great historical and agricultural significance. The Propylaia, the Erechtheion and the temple of Athena Nike are some of the buildings that were built here, but the most important and famous of these buildings is the Parthenon. The Parthenon is a temple that was built in honour of the goddess Athena, who is considered to be the patron of Athens. Construction began in 447 BC with the finishing touches being put on the structure in 432 BC. The Parthenon is regarded as the most important surviving building of ancient Greece, Athenian democracy and western civilization. Most of the structure was damaged in 1687 when the Venetians bombed Athens during the Morean War. The Government of Greece is currently doing selective restoration on the Parthenon to preserve the partially ruined structure. Just like the forum in Rome, the Acropolis of Athens was once the most famous and important site in the entire known world. 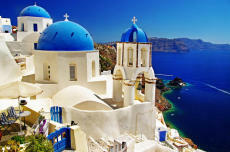 If the rich history and beautiful architecture of the Acropolis of Athens won’t take your breath away, then the view of the ancient city of Athens with the Greek Islands afar surely will! 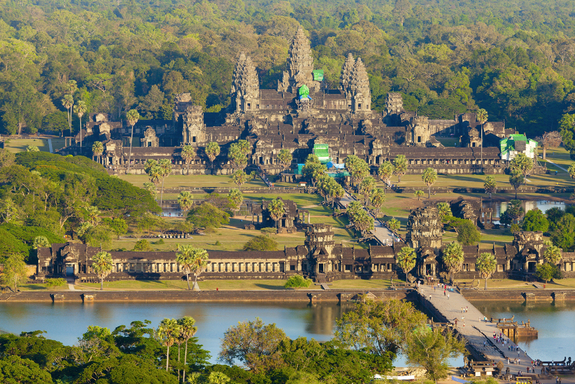 First a Hindu and now a Buddhist temple complex in Cambodia, Angkor Wat is the largest religious monument in the world. King Suryavarman II commissioned the building of this temple in the 12th century in the city of Yaśodharapura, now known as Angkor. Angkor used to be the capital city of the mighty Khmer Empire. The empire fell in the 15th century after which most of Angkor was left to ruin. The remains of the Khmer Empire can still be seen around Angkor. Angkor Wat, which means “Temple City”, is the main attraction of Angkor. The temple complex has become a source of Cambodian pride with an image of it appearing on its national flag. 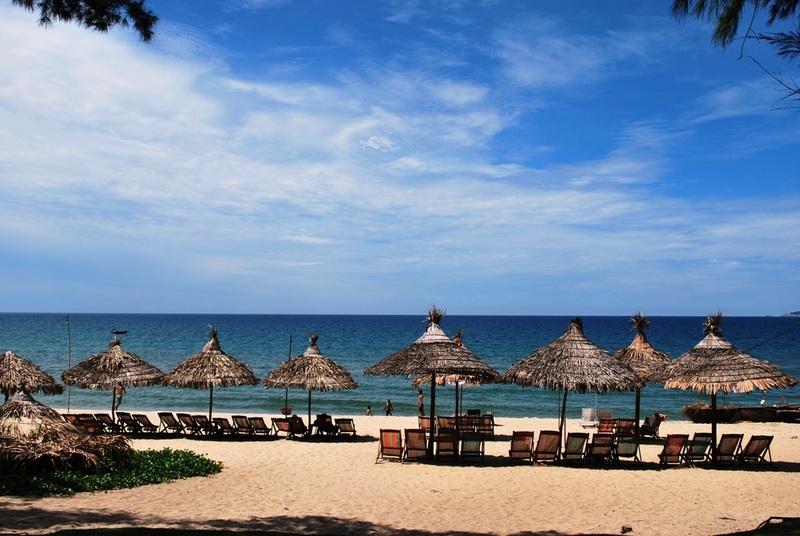 It is Cambodia’s most popular tourist destination and attracts hundreds of thousands of international visitors every year. Make sure that you are one of them! When construction ended on the great pyramid it stood 146.5 meters tall, which made it the tallest building in the world. It remained the tallest building in the world for 3,800 years. Construction is believed to have taken 10 to 20 years to complete, from 2560 to 2540 BC. 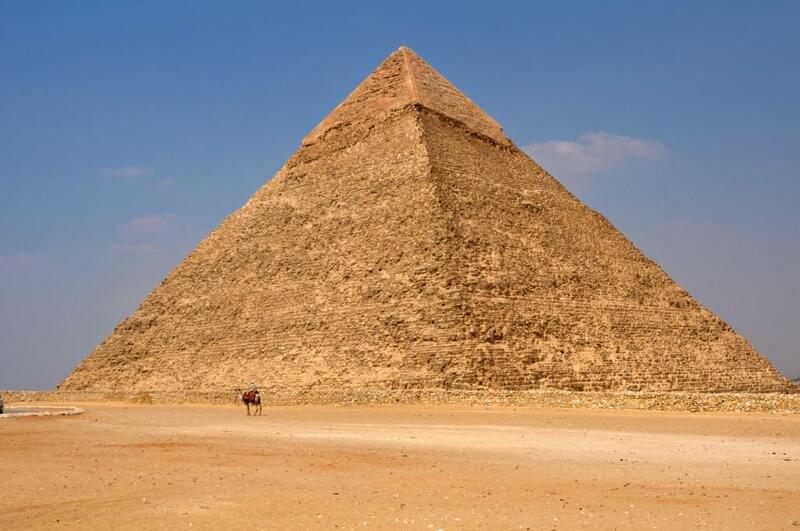 Historians believe that the pyramid was built as a tomb for the Egyptian pharaoh Khufu. The pyramid is the oldest of the ancient wonders of the world and the only one that is still intact. With all of the technology and knowledge that we have at our fingertips in the modern era we still cannot come to a conclusion as to how exactly the pyramids were built. Some far-fetched theories regarding who constructed the pyramids have surfaced over the years. Some believe that they were built by aliens or by the residents of the mythical city of Atlantis. The pyramid of Giza is one of the most recognisable structures in the world, and is visited by over a million tourists each year. To be the tallest building in the world for over 3,800 years, and to still stand largely intact over 4,500 years after it had been built shows that the Pyramid of Giza is one of the most remarkable structures that has ever been built. This site does not have beauty or a long history that stretches back a couple of thousand or even a hundred years like most of the other sites on this list. What this side does have is a shocking history that will forever be a scar on the history pages of humanity. Auschwitz was a network of concentration and extermination camps in Poland that was built by the Nazis during the Second World War. The camp had three divisions Auschwitz Main, Auschwitz Birkenau and Auschwitz Monowitz. The camp was originally built to imprison Polish political prisoners who started arriving in 1940. From late 1941 the Third Reich started to use Auschwitz as an extermination camp, as a final solution to the “great Jewish question” as the Nazis put it. Train loads of mainly Jewish people from all over Nazi Occupied Germany were carted in by train to Auschwitz. In most cases they were taken straight to the gas chambers where they were killed by a lethal gas mixture. 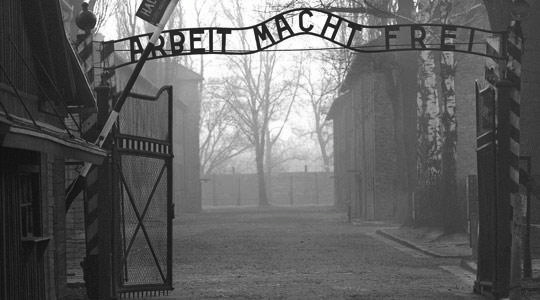 An estimated 1.1 million prisoners died at Auschwitz, 90% of which were Jews. This site stands as a symbol of the evils of which humanity is capable. It also reminds us of what we have overcome and what we should fight against. Never again should anyone go through what the millions of men, women and children went through at Auschwitz. One of my favourite quotes is by the philosopher George Santayana who once said: ‘Those who cannot remember the past are condemned to repeat it’. This ancient Mayan city is among the largest and most accessible Mayan sites in Mexico and it is certainly the most famous. The El Castillo pyramid that towers above Chichen Itza is the focal point of the city and perhaps the most recognisable Mayan structure in the world. The Mayans were obsessed with astrology and the architecture of the pyramid displays their impressive astrological knowledge. Its four sides contain 365 steps, one step for every day of the year and 52 panels, one for every year in the Mayan century. The pyramid also has 18 terraces, one for every month in their religious year. The Sacred Cenote is a natural well that is 60 meters in diameter and 22 meters in depth. This well is thought to have been used as an execution site, as remains of warriors and infants have been found after excavations took place at the site during the 1900’s. The Mayans were a powerful civilisation who seemed to have ruled over most of the northern part of modern day South America for many years. Mayan sports included a game with a ball the size of a modern day football. 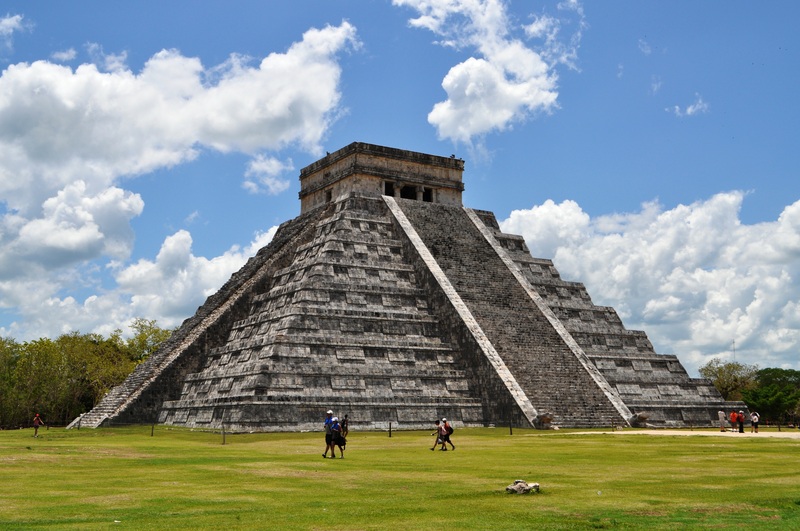 The largest court that this sport was played on, that has ever been found, is at Chichen Itza. Fascinating carvings line the sides of the court along with a carving of a man being decapitated. Some have come to believe that the losing captain’s head was cut off after the match. People predicted that the world was going to end on 21st of December 2012 because the Mayan calendar ended on this day. We should all be happy that the world did not end because now we can still go and explore this beautiful ancient city. This building has been described as the greatest symbol of love in history. The emperor of the Mughal Empire, Shah Jahanwas was devastated when his third wife, Mumtaz Mahal died while giving birth to his 14th child. He decided to build a beautiful monument that would stand as a symbol of their love for each other. Their love story was the inspiration behind the construction of the Taj Mahal. 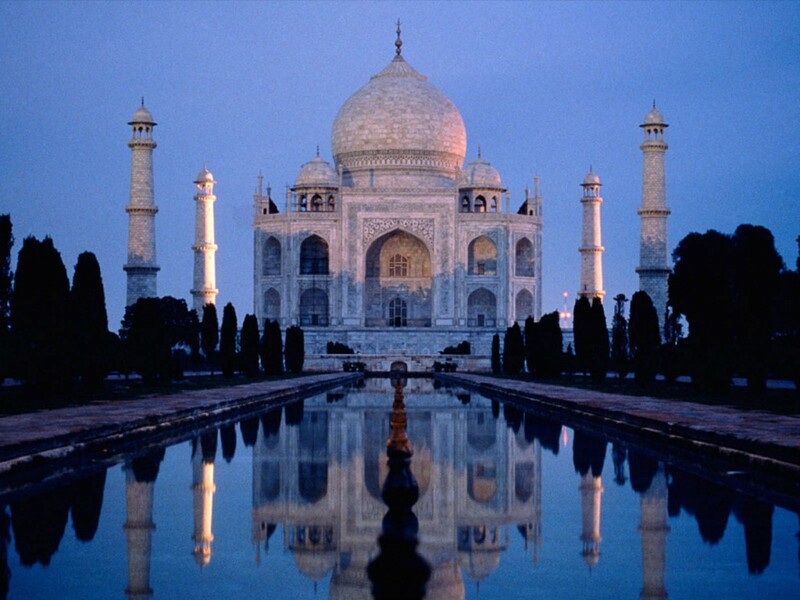 Construction of the Taj Mahal began in 1631 and ended in 1648. The construction of the garden and the surrounding buildings ended in 1653. The interior of the Taj is lined with white marble, precious gemstones and priceless ornaments. The love story behind the Taj is what gives this monument life. More than 3 million people come to see this building every year, making it one of the most popular tourist destinations in the world. The Taj is recognised throughout the world as the universal symbol for love. Irrespective of the colour of your skin, nationality or religion, the beauty and the story behind the construction of the Taj Mahal will restore your faith in humanity. Let our consultants at FlightSite help you tick all of these historical locations!